Russian Maslenitsa is widely celebrated across the country. 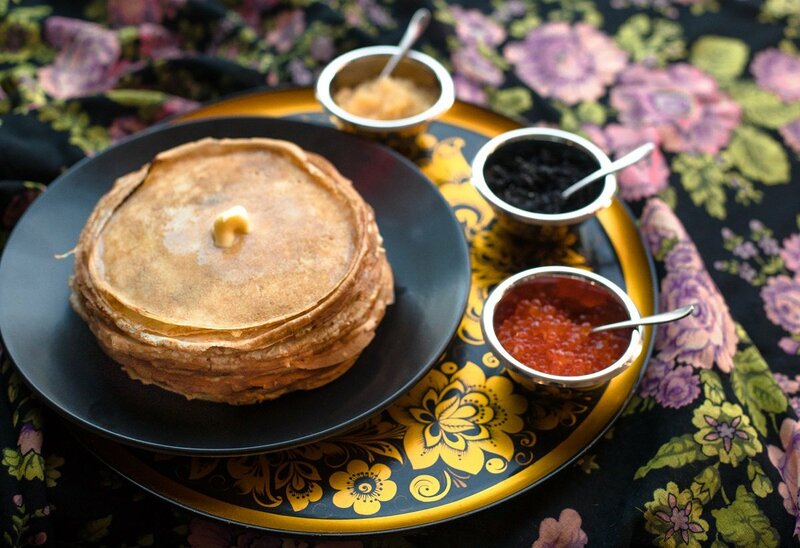 In Luce Restaurant, Chef Mikhail Kirsanov offers the guests traditional thin and buckwheat pancakes with caviar of sturgeon, salmon and pike. You’ll get a free shot of Onegin vodka from SimpleWine at order of pancakes with caviar. Also Luce will please the sweet teeth – Chef offers pancakes with sour cream and berries and caramelized milk cream.